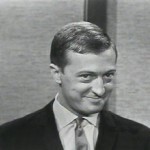 Graham Kennedy was the king of Australian television for 40 years as a talk-show host, game-show presenter, satirist, commentator and iconoclastic jester. 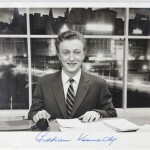 15 February 1934 – 25 May 2005 – Graham Cyril Kennedy, AO reigned over television but was also a noted radio host and film actor. 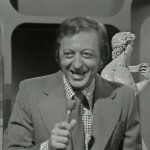 Graham ruled supreme as host of IMT (In Melbourne Tonight) and Australia’s most popular TV personality for thirteen consecutive years. Along with Bert Newton, he worked with Joff Ellen, Rosie Sturgess, Patti Newton, Philip Brady and others. 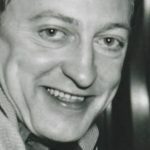 Graham always pushed the boundaries of acceptability with his bawdy, irreverent, iconoclastic, often smutty style, deliberately camp and laden with innuendo and double-entendre. 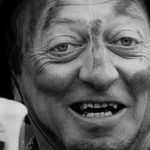 In 1975, he imitated a crow call “faaaaaark” (f**k) and was banned from performing LIVE on television meaning that he would have to pre-record the show on videotape. 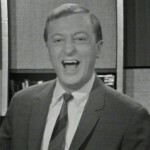 Four of Graham Kennedy’s television shows were named in 50 Years 50 Shows – In Melbourne Tonight topped the poll, Power Without Glory was #15, Blankety Blanks was #20, and Coast to Coast ranked #42. 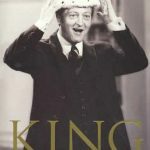 In the Australia Day honours of 26 January 2006, Kennedy was posthumously appointed an Officer of the Order of Australia (AO), for “service to the entertainment industry”.